The Neptune T-10 is a cold-water meter suitable for indoor or outdoor installation. The T-10 model requires no special tools for installation. However, the Neptune Technology Group does recommend installing an inlet valve before the meter and an outlet valve after the meter to protect the meter for water surges. If you already have a shut-off valve installed downstream of the meter placement, you can omit the outlet valve directly connected to the T-10. 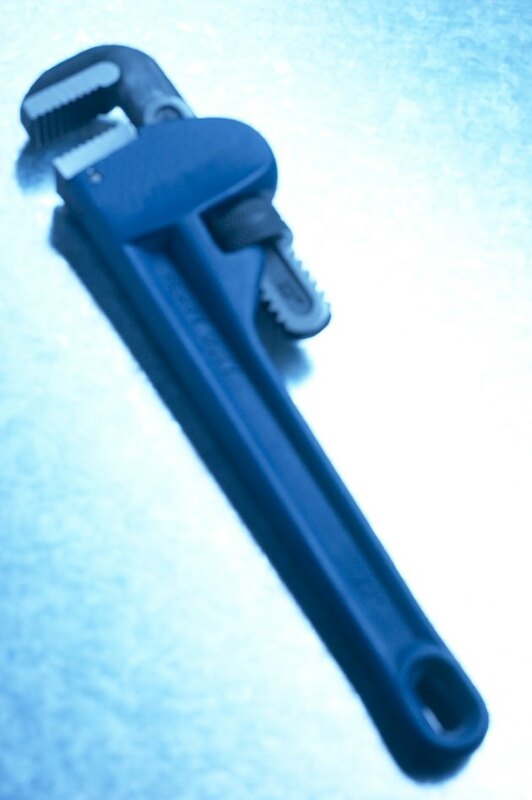 Install the Neptune T-10 using your fingers and a pipe wrench. Flush the service line to remove any debris. You can catch the flow in a bucket so you do not waterlog your workspace. Place electrical grounding straps on the service line, connecting both the inlet and outlet lines. This will prevent an electrical current from passing across the meter, both before and after installation. Install an inlet and outlet valve meter valve with couplings on the service line. Not only will this protect the meter during installation, but if the meter develops a leak for any reason, you will easily be able to shut off the water supply without contacting the water company to shut off the main supply. Remove the thread protectors and spud caps from the T-10 meter ends. Orient the meter with the face upward and the arrows on the meter inlet and outlet pointing in the direction of the water flow through the pipes. The T-10 meter is designed to be installed horizontally, not vertically. Finger-tighten the meter to the couplings, temporarily securing it in place. Use a wrench to tighten the meter in place, avoiding over-tightening or cross-threading the couplings. Open the inlet valve slowly, allowing the meter to fill with water. Open the outlet valve slowly to complete the flow of water. Open a faucet downstream of the meter and allow the air to escape from the water line. Leave the faucet on and check the meter to ensure it is registering water flow. Turn off the faucet and inspect the meter for leaks. What Causes a Braided Plumbing Line to Leak?